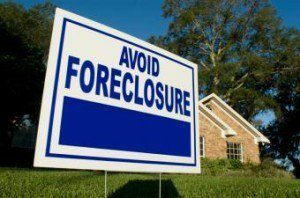 The government-sponsored enterprises (GSEs) Fannie Mae and Freddie Mac, completed 12,902 foreclosure prevention actions in November, according to the Federal Housing Finance Agency's (FHFA's) Foreclosure Prevention Report for that month. Along with those completed in November, the total foreclosure preventions by the GSEs since the start of their conservatorship now total more than 4.2 million. However, month-over-month they declined slightly from 15,272 foreclosure preventions in October. The report indicated that more than half of these actions were permanent loan modifications carried out by Fannie and Freddie. During the month, the GSEs completed 8,048 permanent loan modifications bring the total to more than 2.3 million since the conservatorship began in September 2008, the FHFA said. Breaking down the loan modifications done by the GSEs during the month, the report revealed that 29 percent of the modifications were those with principal forbearance. On the other hand, modifications with extend-term only accounted for 65 percent of all loan modifications in November. Home forfeiture actions declined in November with 566 short sales and deeds-in-lieu of foreclosures completed in November—a decline of 11 percent compared to 633 short sales and deeds-in-lieu of foreclosures completed in October. Charge-offs-in-lieu also decreased to 71 in November from 112 in October. Looking at the mortgage performance of Fannie and Freddie during the month, the report indicated that serious delinquency saw a further drop in November falling to 0.74 percent from 0.76 percent recorded in October. Third party foreclosures as well as foreclosure starts saw a decline in November compared to the previous month. While third-party foreclosure sales decreased from 4,416 in October to 3,888 in November, foreclosure starts decreased from 12,752 in October to 10,810 in November. While 60-plus day loan delinquencies decreased from 305,101 in October to 298,006 in November, 30-59 day delinquent loans saw a slight uptick from 343,270 loans in October to 353,440 in November 2018. Giving an update on the credit scores of the borrowers whose loans were serviced by the GSEs, the report said that of the total 17,108 loans serviced by the GSE in November, 15, 597 were for borrowers with an original credit score of more than 660, while 1,511 were for those with a credit score of less than 660. Of the 10,752 loans serviced by Freddie Mac, 9,900 were for borrowers with credit scores of more than 660 and the balance 852 were for those with a lesser credit score.